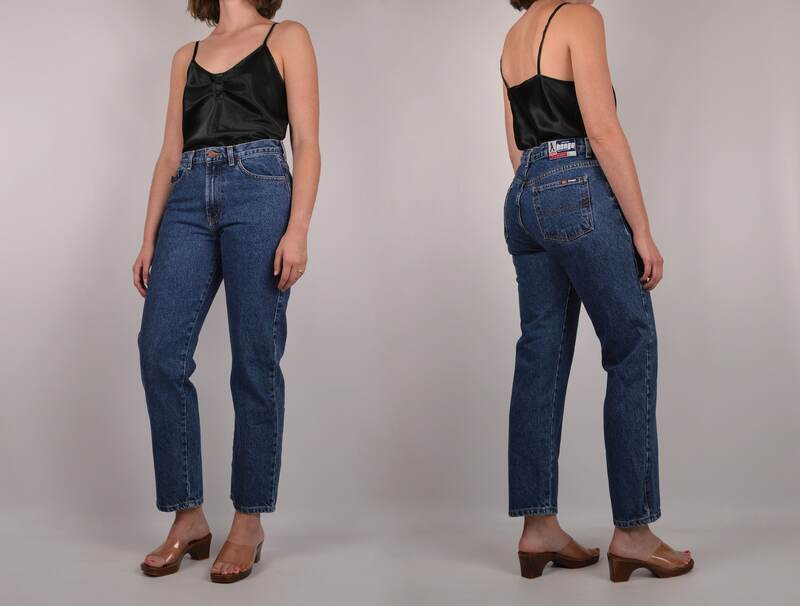 Vintage mid-high waisted Bongo jeans. Slim fit with straight leg. 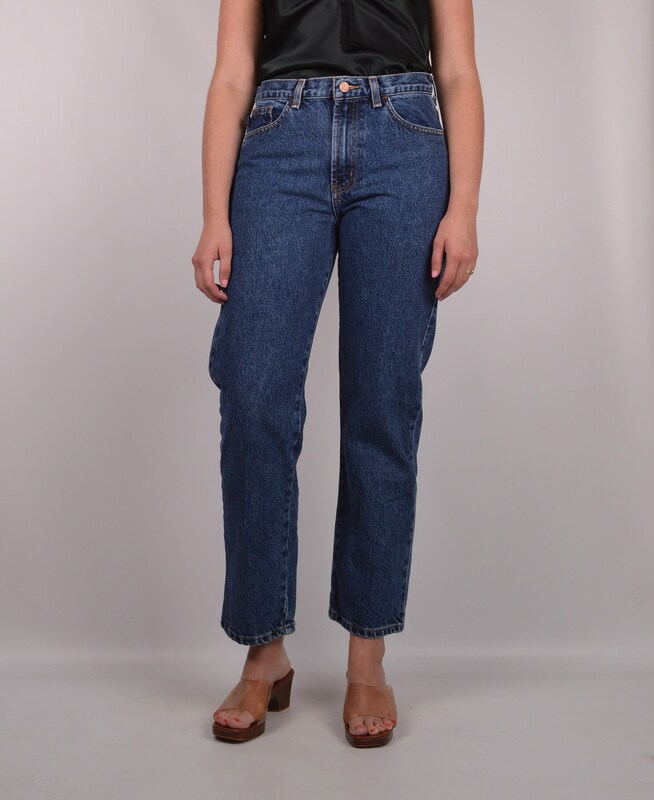 Med-dark wash. Great fit!